Bajo is made and designed in Poland. We make an effort to design multi-functional toys, which at the same time trains a child’s intelligence, dexterity and awareness. They use only the safest certified non-toxic paints based on natural components. Bajo support the community by using only carefully selected high quality materials from certified local suppliers, who respect European eco-standards of the wood production. To visit the Bajo website click here. Djeco was founded in 1954 in France. Djeco have a large team that are focussed on creative design. Over half their team works on toy creation, and they have absolute freedom. This allows for the most fun and craziest ideas to be developed. Suppliers are audited at each stage of the process against a long list of criteria for each toy. The company employs a continual process of improvement and development in the making of Djeco toys. To visit the Djeco website click here. HABA produces their wooden toys at its site in Bad Rodach, Franconia and uses woods from sustainable forestry. Suppliers are PEFC* certified. The natural and mechanical characteristics of beech and maple wood, in combination with a design of clear colours and shapes are the most suitable for a good toy. When it comes to applying colours, we only use water-based ecological solvent-free lacquers. Multiple lacquer layers render the surface extremely resistant to humidity and wear and tear, allowing the toy to be taken from the hand to the mouth, at any time. The quality of the lacquers is insured, apart from independent controls, by the long-term partnership built up with certified suppliers. Steiner & Waldorf inspired art materials and wooden toys of the highest quality. We know you will love our products which not only meet the highest pedagogical, artistic and aesthetic standards, but you will find that many items are handmade in communities and workshops which are specially set up to cater for people with disabilities. Mercurius Australia (operating since 1991) is an Australian owned company affiliated to Mercurius International which is based in the Netherlands. Stockmar which is located close to Hamburg, has been producing beeswax products, including top quality art materials, for 90 years – and is now the owner of Mercurius International. Mercurius offers a complete, thoroughly tested range of products for the Steiner schools and kindergartens – nurturing the senses. ‘Yesterday’s toys for today’s children’ : toys inspired by the past that are updated to today’s tastes. Today, Moulin Roty represents 40 years of dreams and softness. A multitude of characters and stories have punctuated the years. Moulin Roty employs 75 people across the world of which 37 are associates-employees based in Nort sur Erdre. 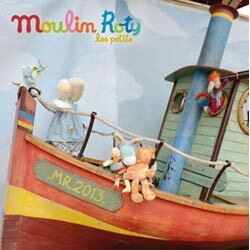 To visit the Moulin Roty Australia website, click here. Vilac has been designing and making quality toys and games since 1911. They are based in the Jura Mountains in France. Their wide range of toys are made from high quality wood and lacquer, which lasting appeal for generations, and, using bright colours and quality materials, the toys are sure to impress. Vilac is committed to the quality and safety of their products. Each product has been tested for compliance with European standards. To visit the Vilac website, click here.